One of the best things about coming home is the lack of cooking I have to do, and dishes I have to clean. My parents really enjoy going out to eat, as do I. Who doesn’t? They are being especially accommodating this trip since I’ve become vegan, and tonight we went to the only vegan restaurant left standing in Sedona, Chocolatree. Chocolatree is best know for known for their amazing vegan chocolates. 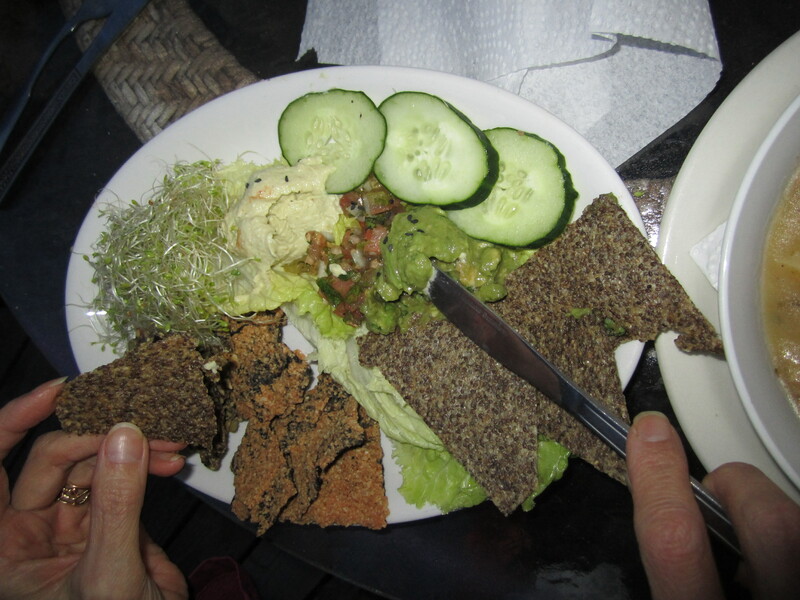 They also have a pretty decent menu of raw and cooked vegan food. I’ve only been there twice since they changed owners, but both times I have gotten the same thing, the Sedona 2012. It’s reaaaaallly good. 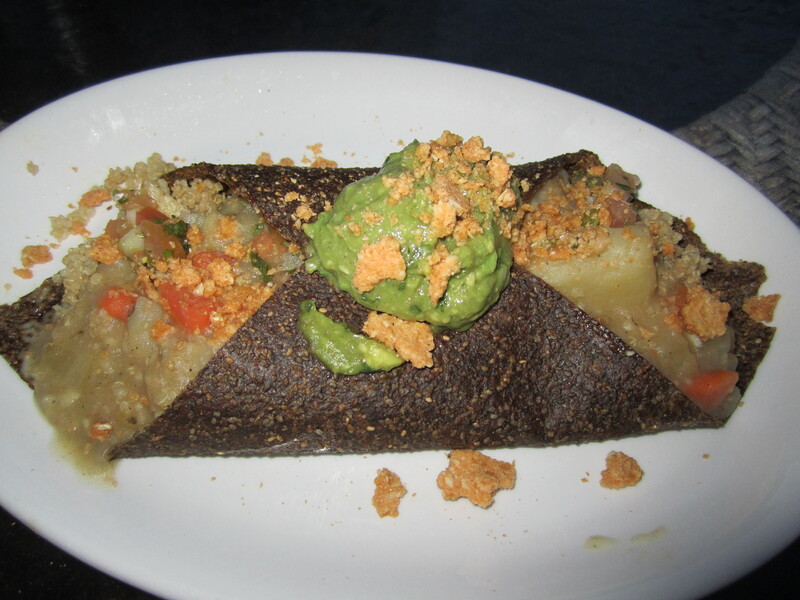 In their own words, it’s a raw tomato wrap filled with hearty quinoa, chunky potatoes, carrots, cilantro, hot sauce, vegan cheese, pico de gallo, honey mustard, and topped with guacamole. The honey mustard is the only thing I really can’t taste, but there’s so much stuff loaded into this wrap, it really doesn’t matter. Yum! I ate the whole thing, of course. Even though I doubt I can recreate the wrap part, I’m going to do my best to recreate this thing at home. I think I’ll call it the Shauna 2013.